Back when I was still working in the city in London by St Pauls more and more places starting open up. Hush brassiere happened to be one of them. Every morning I walk past at 8:15am looking through the windows watching people eat breakfast, you know they do eggs benedict and pancakes, the pile of fresh baked pastries piled up high for people to be lured in. Hush brassiere St Pauls is an offset of the Mayfair branch, just directly opposite to St Paul’s cathedral. I’ve been to many afternoon tea places in London but Hush St Pauls does high tea. Hush high tea involves more of a selection of gin cocktails by the bar team but there’s always a choice of having the traditional afternoon tea experience. Hush brassiere St Pauls was the perfect hideaway for me to grab a late afternoon tea with scones before running off back to my full packed schedule. Seated by the corner of brassiere I ordered a cream tea set. There are plenty of comfy booths, standing bar space for those cheeky after work cocktails and tables to dine in. 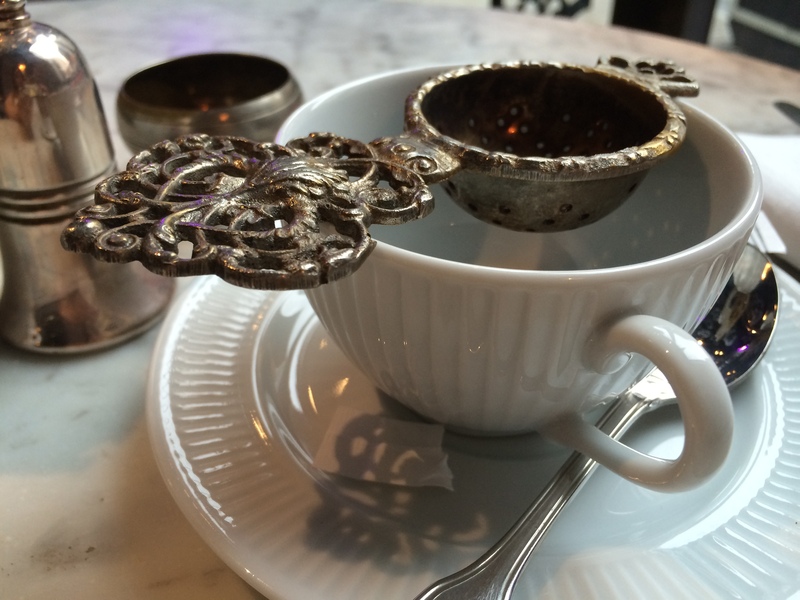 The tea arrived with white fancy porcelain cup and the tealeaves were strained using a vintage stile tea strainer. 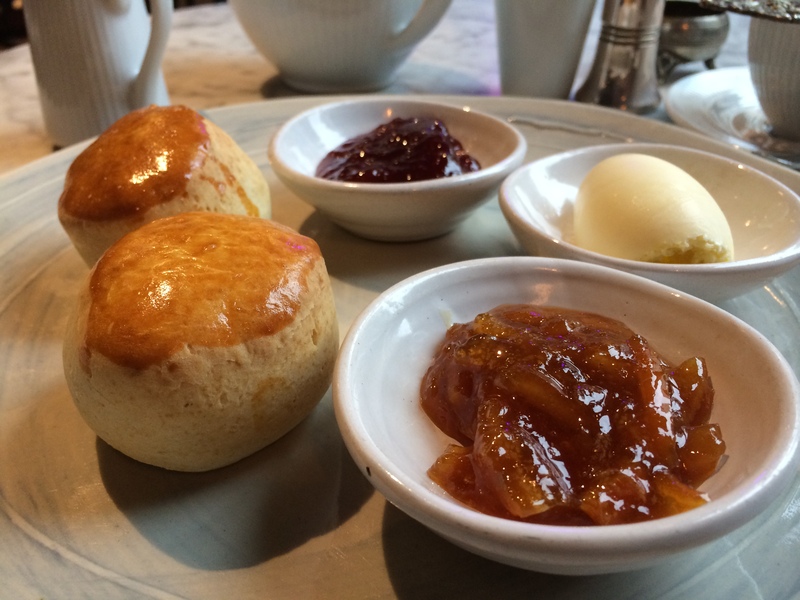 The cream tea came with two scones, clotted cream and a thick jelly like strawberry and marmalade jam. The scones are not too heavy nor leave a baking soda taste, but it’s the jams that win me over. Real fruits pieces are clearly visible and less of the gelatine. I will defiantly visit Hush brassiere again for lunch or dinner, and maybe the breakfast menu if I ever have a day off.